holds a degree in Education from the University of Hanover in Germany. 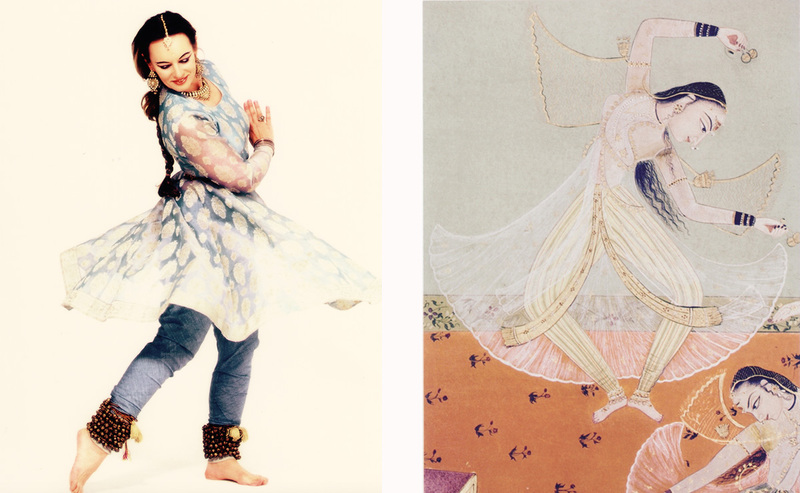 Originally trained in ballet, Amrit became fascinated by the classical splendor and dynamism of Kathak. Her main Kathak Guru was Rohini Bhate, with whom she toured in Japan, Holland and Germany. Her other teachers include Kumudini Lakhia, Vaishali Trivedi and Dr. Malabika Mitra. Amrit is also a disciple of the late Yogacharya BKS Iyengar. 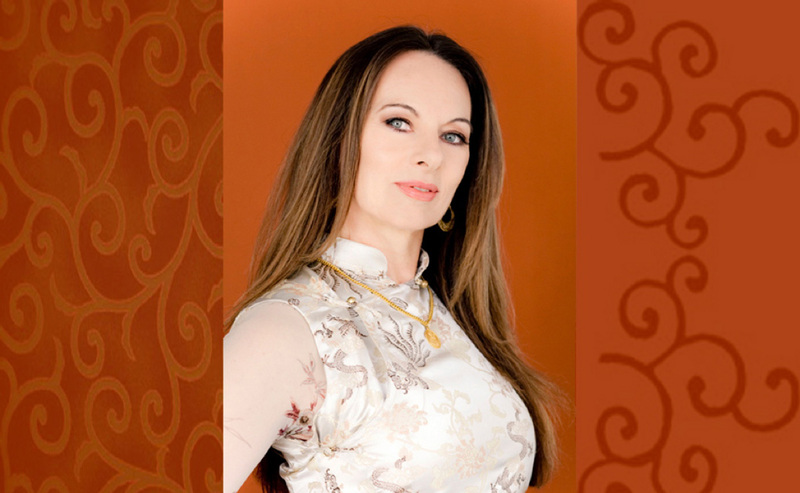 Today she is based in Munich, where she is the co-founder of the Iyengar Yoga Institute. Amrit has given a number of solo recitals in India, including the Kathak Festival (Lucknow), the NCPA (Mumbai), the Max Müller Bhavan (Pune), the Habitat World Center (Delhi), the Vikram Sarabhai Festival (Ahmedabad) and at City Palace Udaipur for the Maharana Arvind Singh Mewar. Her recent performance in India was for Natyanjali Festival at Chidambaram, which was broadcasted by Doordarshan. 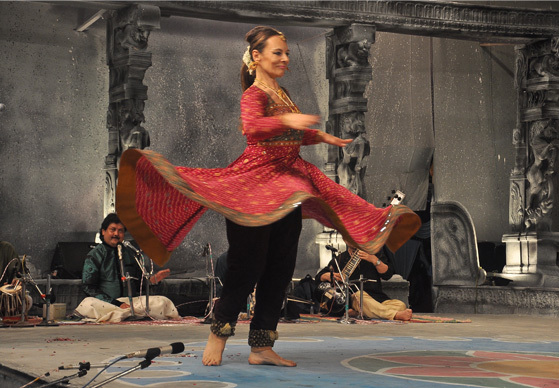 In her native Germany, she has been propagating Kathak through numerous performances, magazine articles, TV appearance and her Kathak book “The Way of Kathak Dance”. Moreover, Amrit devotes herself to singing. Her two CDs, featuring her original interpretation of devotional songs and mantras, as well as her instructional CD on “Yoga & Voice Training” were released widely in Europe and USA. 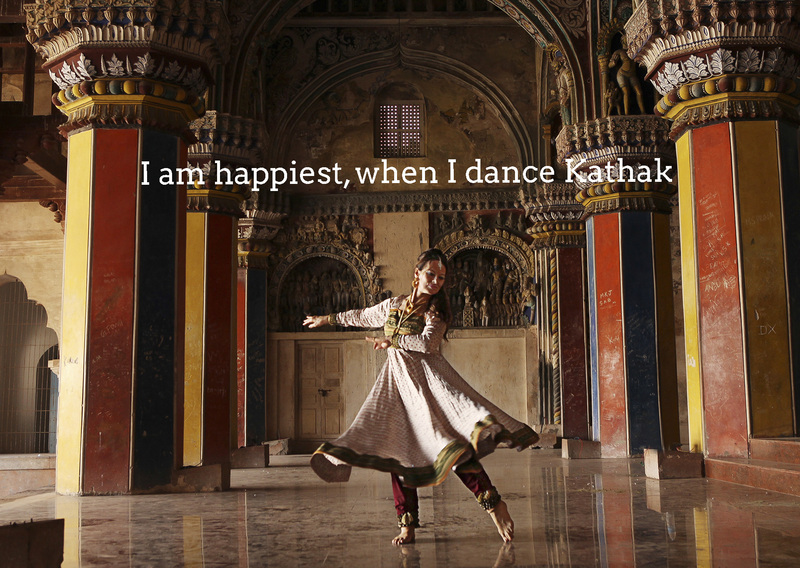 Kathak evolved out of a unique historical blend of Hindu and Islamic cultures. 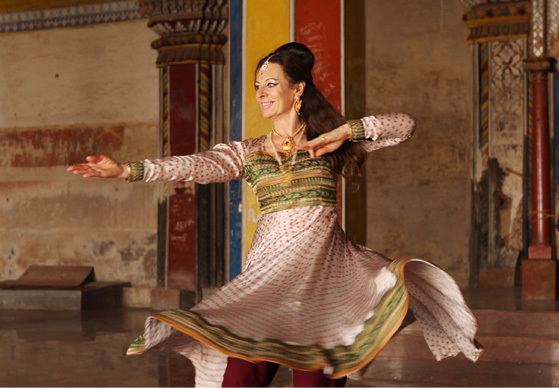 Originally a devotional dance, rendered in the temples of Northern India as a story-telling art, Kathak later became a highly sophisticated court-dance under Mughal rule, where it was considerably modified for the purpose of entertainment. As a result, Kathak became a dynamic blend of two aspects, the austerely spiritual and the passionately physical. 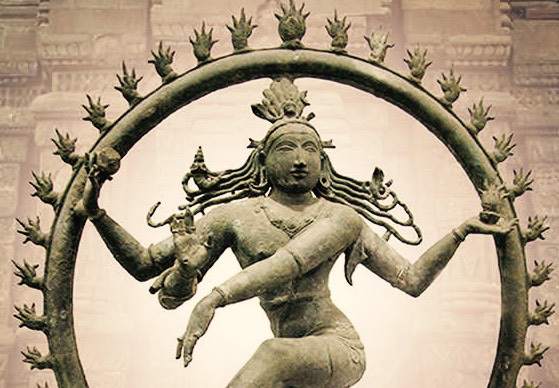 Today, it is one of the most frequently performed dance forms in India, winning its popularity for its highly sophisticated technique and expressive gesture-language.